Your ability to feel real empathy is triggered. I'm experiencing this right now as one of my best friend's brother-&-sister-in-law prepare for a living donor organ transplant. 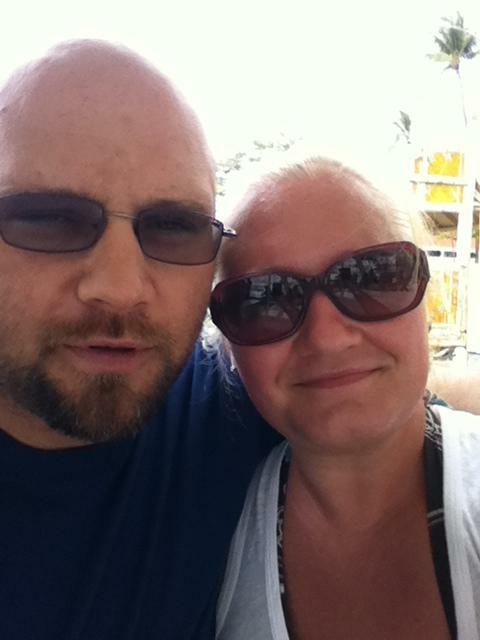 My friend's husband's brother will receive a kidney from his wife. The circumstances are very similar. Steve is an insulin dependent diabetic who has many of the same complications Mark does. Retinopathy and kidney disease are just two. Steve and his wife Tiffanie are also young like us (ish). I've not personally given my husband an organ (would that I could! ), but Mark and I have been through the transplant process (cadaver donated). The myriad appointments and tests, waiting on pins and needles for the go ahead, preparing for surgery, waiting through the procedure itself, learning the hospital like the back of your hand, getting to know your new best friends called nurses, watching lab results like a hawk, getting used to the effects of immunosuppressants, cheering for urine, doing laps with an IV pole around the transplant floor. The fear and worry. The giddy excitement and pure joy upon hearing the transplant was a success. When Steve and Tiffanie came down (they live in Alaska) for a consultation with the transplant team back in April, I got to sit down and talk with Tiffanie. I felt an immediate connection through shared experiences with our husbands. And our feelings about those experiences. There was so much head nodding. I knew we had to be connected so I friended her on Facebook right away, and subsequently asked my friend about how Steve and Tiffanie were doing every chance I got. Now that they're here preparing for the actual transplant I find myself feeling nearly as anxious, ansty, nervous and concerned as I would be if it were Mark. They've hit a road block with an infection that must be treated before the transplant can be done, and surgery has been postponed for two weeks. Of course they are keeping their chins up and staying positive, but I know the frustration that is also there. When things like this happen it becomes so hard to see the light at the end of the tunnel. One might wonder if I'm jealous at all. I am not. I am rooting for them with everything I've got. I am so excited that they are able to do this, and that Steve will be healthier. It's not as if Mark hasn't had this same opportunity before. The fact that his transplanted organs (kidney and pancreas) stopped working after only six years is no one's fault. 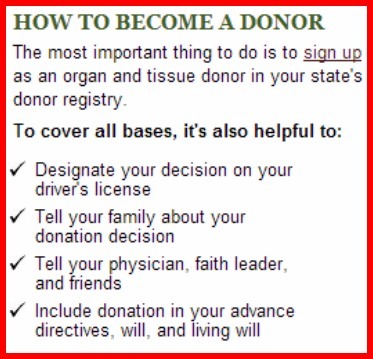 I could never begrudge anyone who is able to receive an organ transplant that enormous gift and blessing. I want it so badly for anyone who needs it, and I feel very frustrated, no angry, when someone loses their life because they didn't get one. Like our friend Cindy who recently passed away waiting for a liver. I can empathize with Tiffanie's thoughts, feelings, motives and fears where the health of her husband is concerned. Beyond that, however, I am in awe of her sacrifice of one of her own kidneys in order to improve Steve's quality of life. She is a strong and determined woman and I admire her. I find myself getting emotional about it, actually. I started this post hoping I could explain why, but I keep finding myself stunted in finding the words. Suffice it to say, I -- Mark and I -- GET IT. All of it. On so many levels. I cannot emphasize enough how important it is for each and every individual without some sort of pre-existing condition to be a registered organ donor! Not only that, but to keep an open heart and be willing to donate a loved one's tissue and organs if ever presented with that choice.